Inject some spice into your day with NaTta‘s C`est La Vie, a short collection of three premium tracks that dances in between blues and soul/jazz musings. 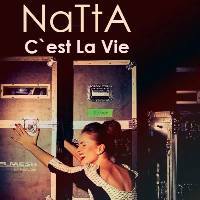 With an affinity in combining 1950s style with current trends, Belgian-Belarusian songstress NaTta aka Natalie Volosevich gives a funky approach to her music, which sounds like it’s been created perfectly for cafés, lounges, and late-night dinners. This collection was launched in 2012 due to the efforts of NaTta and V&V Galantino Production represented by producer/composer/performer Oleg Jagger Minakov (Rouble zone) and Belgian musician Roma Siadletski (Arms of War, Iron Mask). First stop is No Angel, a soulful piece that welcomes the ears in rich guitar melodies that twirls in sharp, solid vocals. NaTta’s voice features a certain roughness that adds a raw beauty to the entire piece. C`est La Vie, the most listened song in the collection, attracts the ears with a laid-back jazz arrangement that’s accentuated with sudden hints of pop. Put your feet up, open a bottle of vino, and let NaTta’s lush, caramelized voice set the perfect mood to release stress. Lastly, Monday closes the album in a more upbeat charm with lively folk strings and foot-tapping tempo. It’s an energy-filled piece that will surely boost your spirit. Though it has a few number of tracks, NaTta makes up for it by presenting high-quality pieces that presents a different color in every play. Is Natta coming out with a CD anytime soon?